Flight number 935: Struck bird on short final, landed without further incident. Landed, taxied clear of runway then accidentally retracted the gear. Ran off the runway on landing and struck a fence. Rotorcraft landed in a field. On September 24, 2018, at 1032 Alaska daylight time, a Cessna U206G airplane, N1738R, impacted mountainous terrain about 13 miles west of Rainy Pass Lodge Airport (6AK), Rainy Pass, Alaska. 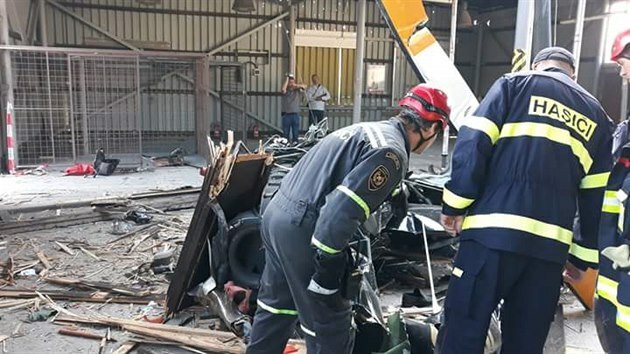 The commercial pilot, who was the sole occupant, was fatally injured and the airplane was destroyed. 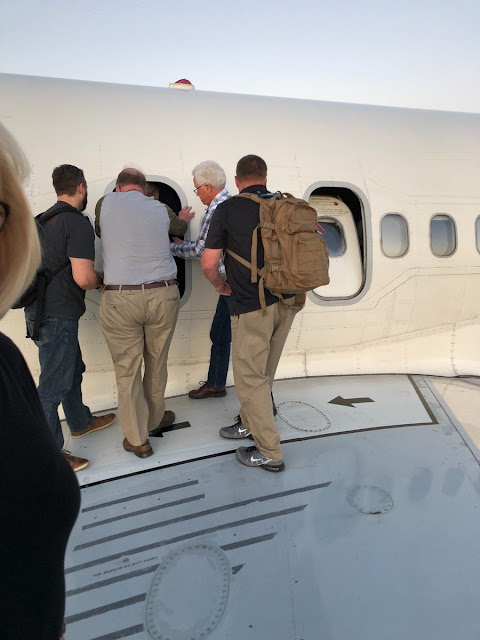 The airplane was registered to Laughlin Acquisitions LLC and operated by Regal Air under the provisions of Title 14 Code of Federal Regulations Part 135 as a visual flight rules on-demand cargo flight. Marginal visual meteorological conditions prevailed at the time of the accident and no flight plan was filed. The flight departed Lake Hood Seaplane Base (PALH), Anchorage, Alaska, and was destined for a private airstrip on the southwest side of the Alaska Range about 30 miles west of the accident site. The operator reported that the purpose of the flight was to deliver about 400 lbs of lumber to the private airstrip, pick up two passengers and return to the PALH. The operator was tracking the pilot's flight path using Spidertracks (figure 1) and noticed the track stopped at 1031. 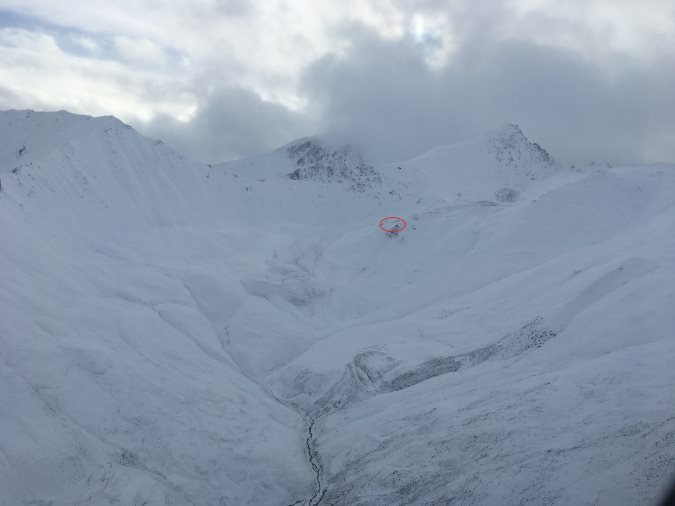 An Alert Notice was issued for the missing airplane and the U.S. Air Force Alaska Rescue Coordination Center conducted an aerial search mission to locate the airplane. The wreckage was discovered near the end of a mountain valley on a steep mountain side about 3.5 miles southwest of the mouth of Goodman Pass. The Regal Air chief pilot was flying the same flight path in another company Cessna 206 and was about 20 minutes behind the accident pilot. He was in radio contact with the pilot throughout the flight and most of the communications were related to the current weather conditions and cloud coverage along the route of flight. The chief pilot inquired about how the pilot flew through certain areas along the route in order to stay clear of the clouds. The chief pilot also heard the accident pilot in radio communication with the owner of Rainy Pass Lodge, but he could only hear the pilot's side of the conversation. The pilot lost radio contact with the accident pilot about 1030 and assumed that he had proceeded into Rainy Pass and no longer had line of sight for radio contact. When the chief pilot reached Long Lake Hills he did not feel comfortable continuing the flight due to the low clouds so he turned around and proceeded back to PALH. The closest official weather observation station is located at 6AK. The weather observer for 6AK reported the following observations. At 0659 wind from 170° at 10 knots, visibility 7 statute miles (sm), light rain, overcast cloud later at 7,000 ft, temperature 6° C, dewpoint 6° C, and a barometric pressure of 29.58 inches of mercury. At 0848 wind from 160° at 12 knots gusting to 18 knots, visibility 7 sm, scattered clouds at 1,500 ft, overcast cloud layer at 4,000 ft, temperature 5° C, dewpoint 4° C, and a barometric pressure of 29.56 inches of mercury. At 1058 wind from 140° at 10 knots, visibility 7 sm, scattered clouds at 1,200 ft, broken clouds at 2,700 ft, temperature 6° C, dewpoint 5° C, and a barometric pressure of 29.53 inches of mercury. The owner of Rainy Pass Lodge at 6AK stated that he saw the accident airplane fly over his lodge and he made radio contact with the pilot. 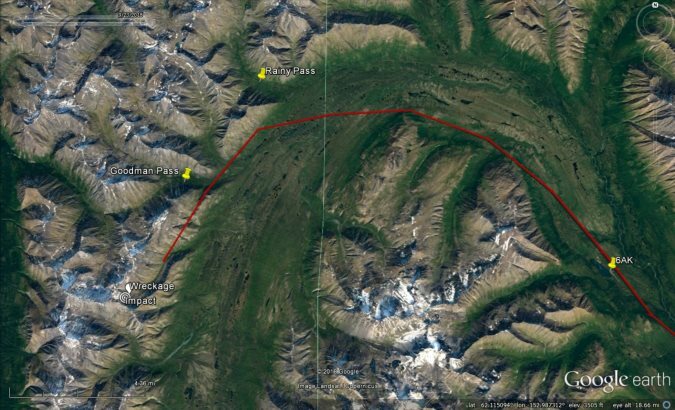 He stated that he could see Long Lake Hills from 6AK, which is 8 miles southeast, and that the cloud coverage to the southeast was a lot more significant than it was to the northwest near Rainy Pass, which appeared to be dissipating. On September 26, the National Transportation Safety Board investigator-in-charge and members of the investigative team traveled to the accident site via helicopter and documented the accident site and wreckage. The main wreckage was located about 4,400 ft mean sea level (msl) on the mountain side and was partially covered in snow. The initial impact point, identified by the propeller assembly and cockpit debris, and was located about 4,700 ft msl. Figure 2 is a photo taken from the same altitude and heading as the final Spidertracks point received from the airplane; the figure shows the initial impact area circled in red. The first responders reported that the rescue helicopter's rotor wash blew the wreckage off its perch and it slid down the face of the slope to its final resting point. A debris path of airplane wreckage was found along the slope leading to the main wreckage. On September 28, the wreckage was recovered from the mountain side and transported to a secure facility for further examination. Dave Oberg has worked for Regal Air since 2002. 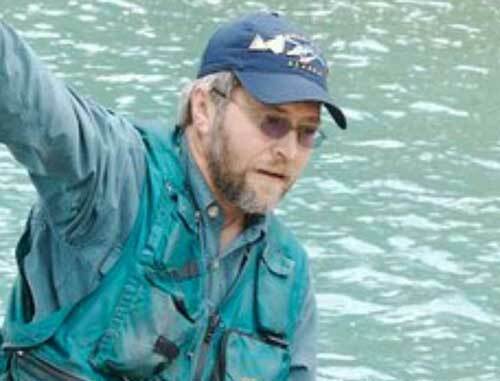 An airplane crash in the Rainy Pass area on Monday took the life of veteran pilot, David Oberg, it has been reported by Alaska State Troopers on Tuesday. The crash was reported to the Alaska State Troopers on Monday evening at 5:43 pm and the Alaska Rescue Coordination Center dispatched to the crash area, where they located the aircraft, a Cessna 206, and the pilot, the only occupant, deceased. Oberg’s remains were transported to Joint Base Elmendorf-Fort Richardson where they were turned over to the State Medical Examiner’s office. 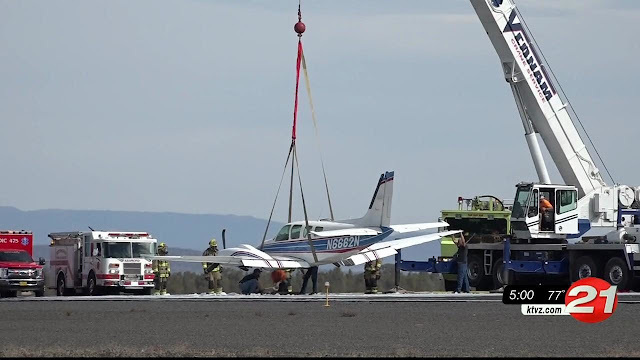 Oberg, 67, was flying for Regal Air, located on Lake Hood at the time of the incident. He had started flying in the skies over Alaska in his teens and had been a commercial pilot for over 40 years. He had been flying with the Regal Air team since 2002. In his off-time, Oberg taught aviation science at a local high school. Oberg’s death marks the second pilot fatality for Regal Air this year. 24-year-old Colt Richter died in a crash near Willow Lake on July 18th. 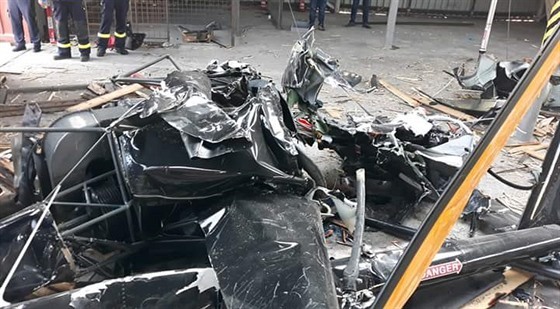 The National Transportation Safety Bureau is investigating the crash but has yet to release their preliminary report into the cause of the crash. Oberg’s next of kin have been notified of his death. 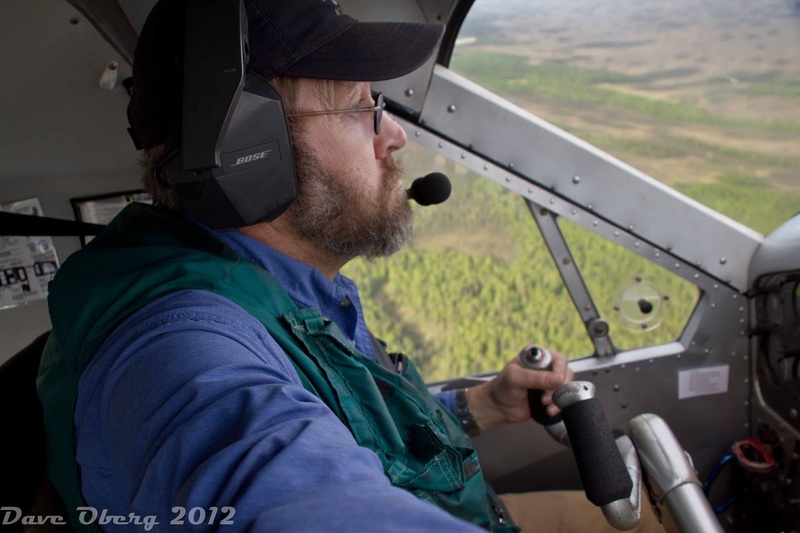 ANCHORAGE (KTUU) - One man is dead after the small plane that he was piloting crashed in the area of Rainy Pass. Carl David Oberg, 67, a pilot flying with Regal Air Services at Lake Hood, died after the Cessna 206 he was piloting crashed. Alaska State Troopers confirmed the death in a dispatch report early Tuesday morning. They were notified of the crash itself at 5:43 p.m. Monday. 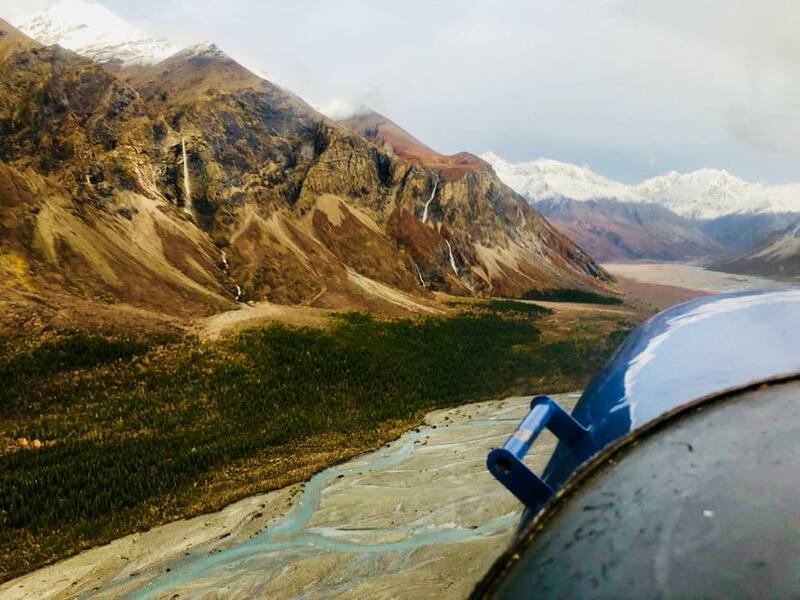 According to AST, the Alaska Rescue Coordination Center responded to the area of Rainy Pass and located the plane and Oberg, the sole occupant on board, deceased. Oberg's body was transported back to JBER, where the State Medical Examiner took possession of his body. So far there is no preliminary report from the National Transportation Safety Bureau into what caused the crash. 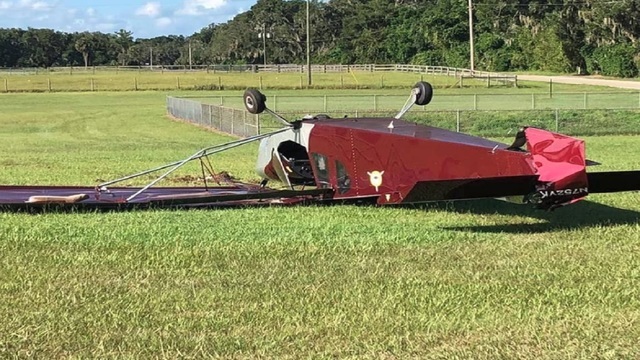 On September 23, 2018, about 1545 eastern daylight time, a Zenith Aircraft Company CH 750, N752VK, was substantially damaged following a forced landing near DeLeon Springs, Florida. The private pilot and one passenger sustained minor injuries. The airplane was operated by the pilot under the provisions of Title 14 Code of Federal Regulations Part 91 as a personal flight. 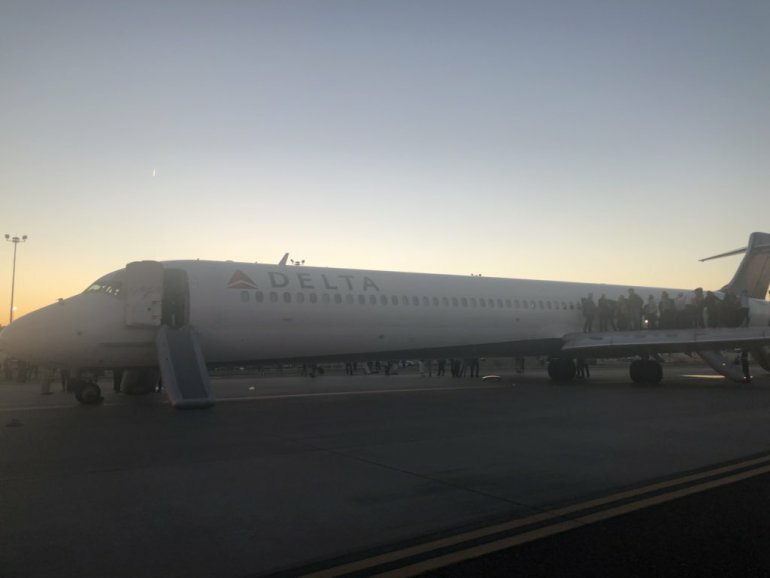 Visual meteorological conditions prevailed, and no flight plan was filed for the local flight that originated from DeLand Municipal Airport (DED), DeLand, Florida, about 1530. 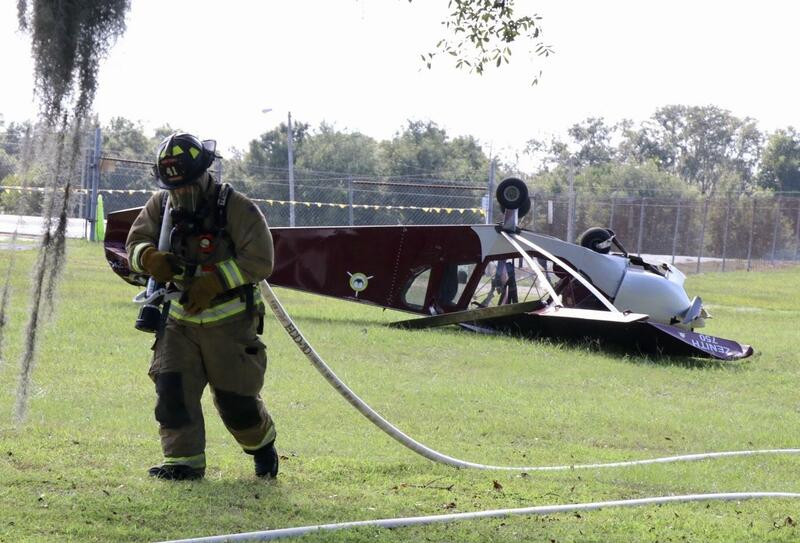 The pilot/owner reported that while over the DeLeon Springs area, the engine started "skipping." The engine then lost all power and the propeller stopped. He set up for a forced landing to an open area. During the descent, he observed power lines and maneuvered to clear them. The airplane touched down at a steep descent angle. After touchdown, the airplane nosed over and came to rest inverted. An inspector with the Federal Aviation Administration responded to the accident site and examined the wreckage. He reported that the engine firewall, wings, and vertical stabilizer had structural damage. Further examination of the wreckage revealed that the airplane was equipped with two 12v motorcycle batteries, and both were discharged. One battery indicated 0.75 volts and the other indicated 7 volts. Both batteries were then charged by the inspector and a mechanic, who were then able to start the airplane's Viking 110 engine normally. The alternator was found to be charging normally with the engine running and the bus voltage was greater than 13.5 volts. The key-actuated rotary (ignition) switch on the cockpit instrument panel controlled the airplane's alternator and started the airplane's engine was unlabeled. When the switch switch was placed in the unlabeled on position, the alternator field wire received power and the alternator charged normally. When placed to the unlabeled off position, power was removed from the alternator field wire, and the engine continued to run as long as one of the unlabeled battery toggle switches was turned on. The Viking 110 engine manual recommended an alternator warning light installation; however, the inspector noted that there was no light installed. The pilot reported to the FAA inspector that he may have left the alternator switch in the unlabeled off position by mistake. 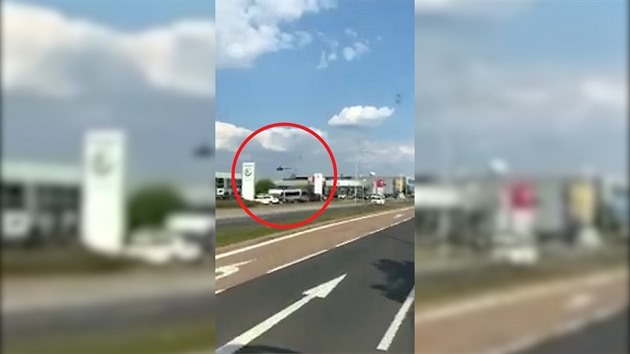 The pilot also reported that he did not utilize a checklist when operating the airplane. The Viking 110 engine manual reminds operators that the engine is controlled by an electronic control unit (ECU) versus mechanically operated magnetos and at least one battery must maintain its charge for the engine to operate. A single engine airplane flipped over in a field in DeLeon Springs Sunday afternoon while trying to make an emergency landing after an engine malfunction, officials said. Volusia County Fire Services Battalion Chief Nick Castelli said two people were in the aircraft and only suffered minor injuries. According to sheriff’s spokesman Andrew Gant, deputies were called to 5660 Johnson Lake Road around 3:27 p.m. reference an aircraft crash. When deputies arrived on scene, they made contact with the pilot, Herbert Weems and his passenger, Kenneth Brownell. Weens said that while in flight, an engine malfunction forced them to land the aircraft in a field on Johnson Lake Road. Weens said he misjudged the slope of the ground, causing the front tire to touch ground, damaging it on impact and flipping the airplane, Gant said. Bystanders said the flight was a present for Brownell, who was celebrating his 89th birthday on Sunday. Weems and Brownell suffered minor injuries and were transported by EVAC ambulance to Florida Hospital Deland. The Federal Aviation Administration and National Transportation Safety Board were notified of the airplane accident, Gant said. DELEON SPRINGS, Fla. — A pilot and a passenger had to be pulled out of a plane in DeLeon Springs, officials said. 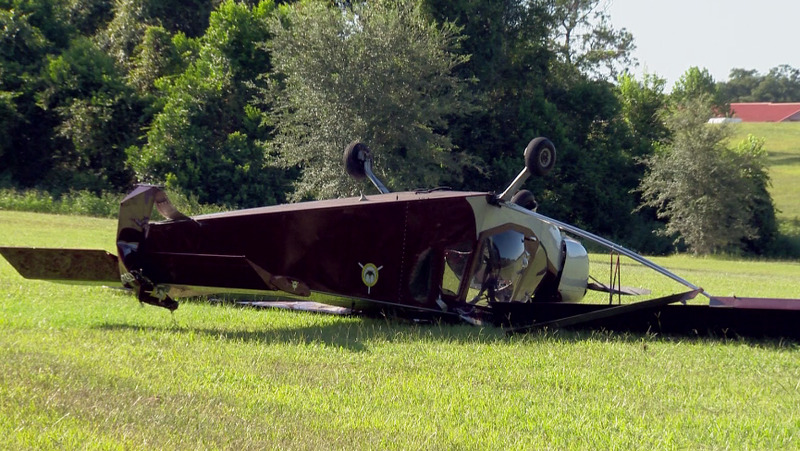 The Volusia County Sheriff’s Office said a small plane landed near Johnson Lake Road and flipped over. Authorities said the pilot, Herbert Weems, experienced an engine problem and tried to put the plane down. Weems said he misjudged the slope which damaged the landing gear and caused the plane to flip, officials said. According to witnesses, the pilot was hanging upside down and they had to cut him out while Kenneth Brownell, his passenger, was crawling out the door. Witnesses said Brownell told witnesses it was his 89 birthday and the ride on the plane was his present. The men were taken to a hospital as a precaution. The Federal Aviation Administration said the plane is a Stol CH 750 light sport utility aircraft. On September 5, 2018, at 1533 Coordinated Universal Time, a Robinson R44, I-CCNI, impacted terrain while maneuvering at low altitude, Plzen-Skvmany, Czech Republic. 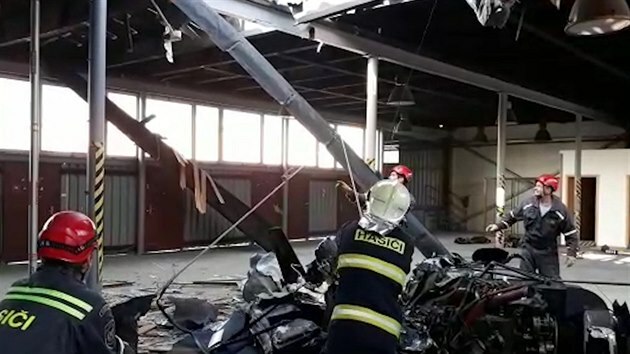 The pilot and three passengers sustained fatal injuries. This report is for informational purposes only and contains only information released by or obtained from the Air Accidents Investigation Institute (AAII) of the Czech Republic. Kriminalisté spolu s pracovníky Ústavu pro odborné zjišťování příčin leteckých nehod (ÚZPLN) jsou na místě a zjišťují veškeré okolnosti nehody. Vyslýchají svědky, vyhodnocují zajištěné stopy a jsou nařízené znalecké posudky,“ uvedla před devátou ráno policejní mluvčí Martina Korandová. Připravujeme nejdříve pažení na zajištění stability budovy. Pak budeme odřezávat trámy v konstrukci střechy, aby bylo možné vrak vyzvednout a nedošlo k jeho poškození, aby ho mohli dál zkoumat odborníci na zjišťování příčin leteckých nehod,“ popsal ráno vyprošťovací akci mluvčí hasičů Petr Poncar.